Have just finished fitting my new Knilling Perfection Planetary Pegs. They are great. A little 'fiddely' to setup but well worth the effort. They slipped a little at first but they soon settled in. No fine tuners. Now it 'looks' like I know what I'm doing. That looks really nice John. That's appears to be a very nice upgrade. Impressive that you are able to install these pegs yourself. They look awesome. So jealous - would love to get some but there is no way I would be able to install them. Let us know how you like them once they have settled in. Enjoy! You made me go and check. And no, they don't touch. But they are very close. I did a G scale for you so you can hear Lilli's 'voice'. Without a fine tuner on the E string, people will conclude you have fine-tuning pegs. It was a 'joke' RU. Am not trying to fool anyone. Not the real point. The real point was to get all the metal off the tailpiece. I know. I was just going along with your joke. Enjoy your new tuners. Definitely sounded nice to me, Ferret. What do you think? Do you feel there is any difference in the sound? People might not necessarily all assume that the lack of fine tuners on the tailpiece would mean the violin has fine tuning pegs, though. 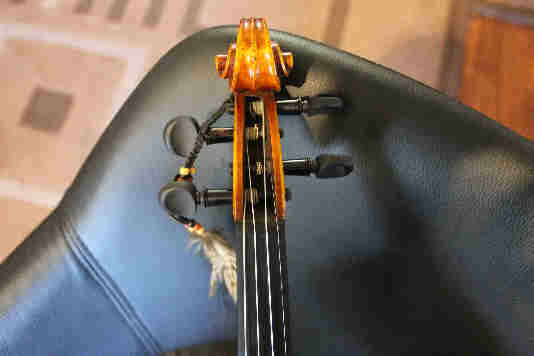 The "Lady Blunt" Stradivarius has no fine tuners on the tailpiece. 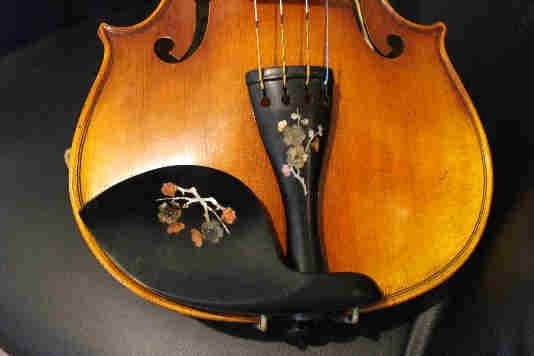 Fine tuners have been around longer than chin rests and shoulder rests, but I think they were still an "add on" accessory, rather than a part of the original design of the violin. 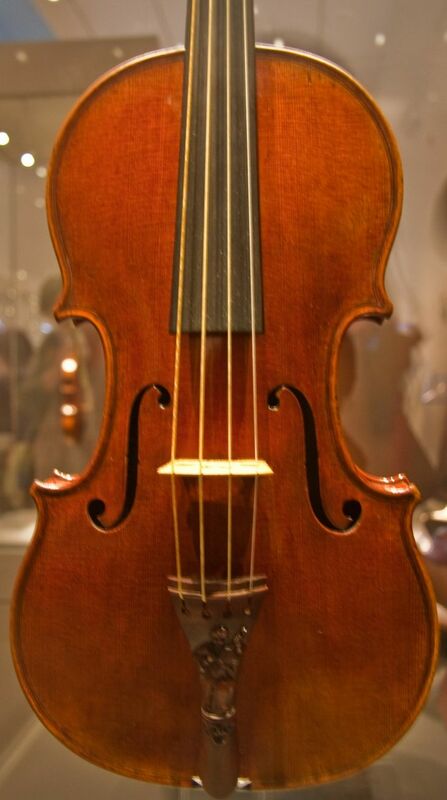 The "Lady Blunt" Stradivarius has no fine tuners on the tailpiece. I've thought about putting those on one of my violins that needs a peg job. What tools did you need, @Ferret? John... Love your new geared pegs. The violin sounds lovely also. Yep.. you look like you have one of those violins for advanced players. Looking sweet. Thanks for sharing. I am excited that they arrived. I too loooooove the look without the fine tuners. Although I am very grateful for my e-string fine tuner. All that was needed was a reamer, and I didn't have to use it much. So little in fact I reckon that I could refit the old pegs no problems. I didn't use the glue as suggested as I had heard from other sources that it wasn't needed. I was surprised the video didn't mention the pitch of the reamer. I assume it is 30:1, as I think that's nearly standard nowadays. But unless I am wrong, 24:1 used to be common. 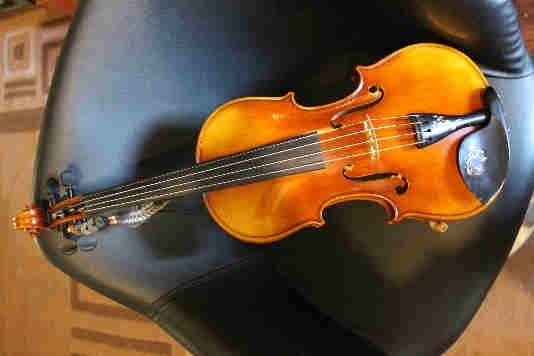 I have a 2007 Romanian Shar/Hoffman violin that seems to be reamed at 24:1. Some of its pegs stick BTW, ha ha. Maybe the pitch is mentioned in the Perfection written instructions! @Ferret: Yeah, I felt that going to no fine tuners made a slight, but noticeable difference. I little louder, a little brighter, a little more "ring". Nothing huge, though, and I felt it is less than the change that a different brand or type of strings makes. When I decided to leave mine off, it was mostly just to see if it was all that difficult to tune from just the pegs. At least with my violin, it wasn't. So I left them off. It was not part of the recommendation of the person who felt I should change my CF with 4 built-ins for a simple ebony tailpiece. She recommended having one at least for the E string. But it rarely takes me more than a minute to tune up anyway, so I have left them all off. I don't know about it "looking like a more advanced player", though. The only person who plays and has seen my violin (other than the one who didn't like the CF tailpiece and gave me an ebony one) offered to give me one of their spare fine tuners. So I think the impression they got from the absence might have been more like "poverty" or "ignorance".. Yes RU, it's 30:1 As you say 30:1 seems to have become the standard. But as I said, I hardly had to use mine. If you ever get a set I would suggest that you check the existing hole diameter as they are available in different sizes. I measured mine and they turned out to be the most common size. But yours may be different. Many luthiers use a drop of glue to avoid that slipping. Not sure if the instructions mention this. As a guitar luthier it might seem that I know what I'm talking about when it comes to violins, but it really doesn't. All I know is if I glued my tuners in I would use a small amount of glue and place it near the top of the threads. That way if they ever need to come out you can heat up the tuner and it'll soften the glue. Most wood glues will soften with heat, and hide glue is made so that it will soften with a slight amount of heat (comparatively speaking). However, hide glue isn't something that everyone has the desire to fool with due to it being somewhat expensive compared to regular wood glues and difficult to work with (having to heat to specific temps, use before it cools, etc). Or you can just leave off the glue for now and they'll probably be fine for a good long while. 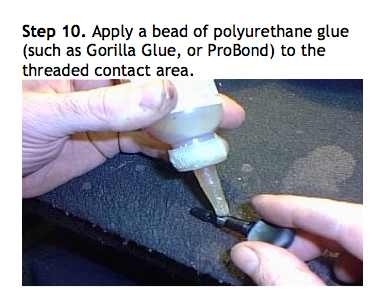 There is actually liquid hide glue which is pretty good and your tip is a good one. You should to be able to remove them in case they need to be replaced. I actually do know what our luthiers do though I should be more specific.